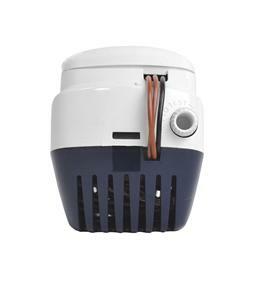 An all in one automatic float switched bilge pump offering installation convenience as well as added security. 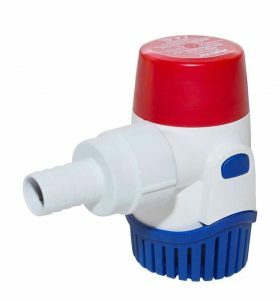 Everything is contained in one compact package – pump, strainer and float switch. 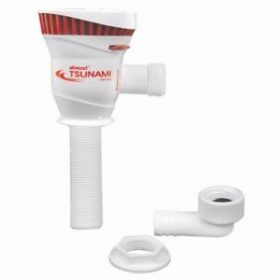 Installs quickly and easily in tight spaces. 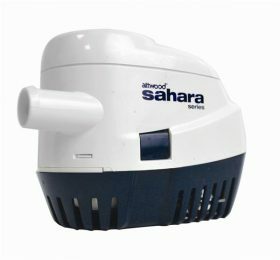 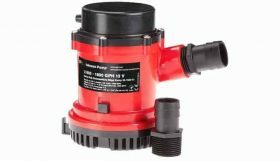 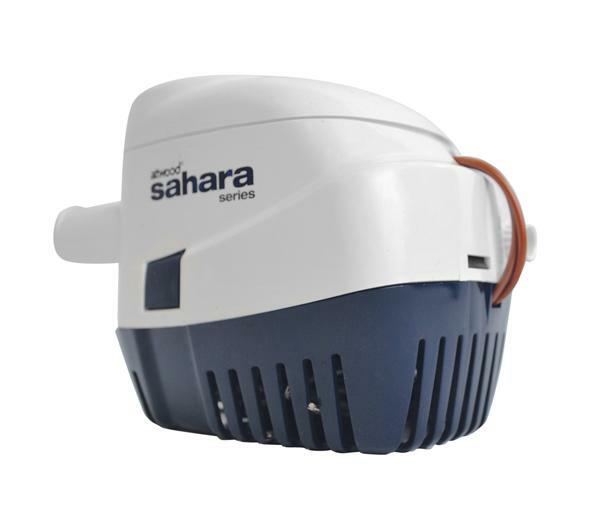 Sahara Automatic Bilge Pump – S1100 Volt: 12 Open Flow @ Design Voltage: 69l/m / 1100gph Output @ 1m, 12V: 820gph Hose Size: 28mm Max. Head: 2.7mm Max. 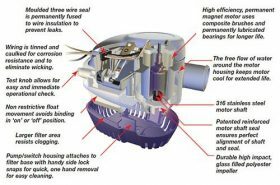 Amp Draw: 3.4 Fuse: 6 amp 3-Year Warranty Sahara bilge pump specifications (PDF) Sahara automatic bilge pump installation guide (PDF) N.B Output specifications are in US gallons per hour. 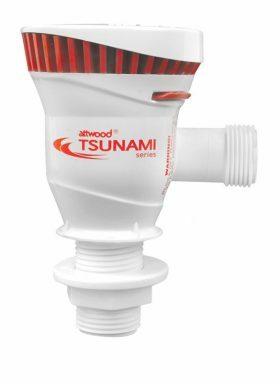 While Attwood submersible pumps have caulked electrical wire, best practice installation is to ensure that wiring connections remain above water level.